Inspired by the work that has been done by the Archives Society of Alberta’s Flood Advisory Programme, I wanted to write about how archives prepare for and handle disasters. 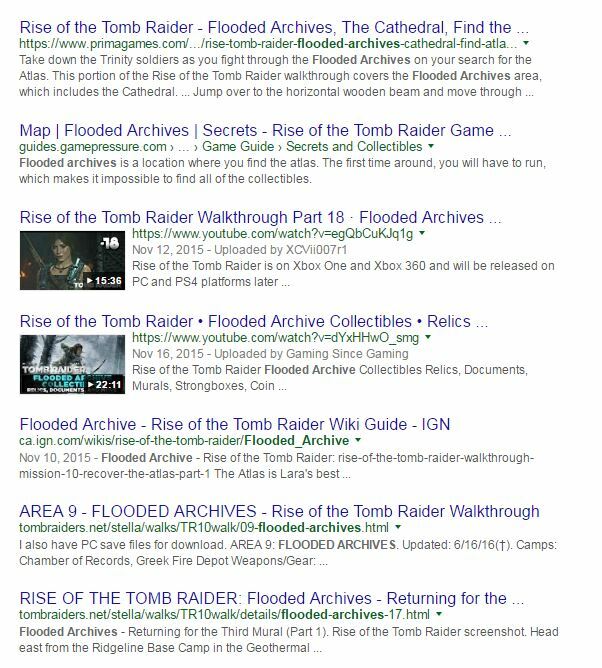 So I started by googling “flooded archives.” Strangely, it takes until the seventh result of the second Google search page to actually find something related to flooding and archives. Instead, it seems Lara Croft and Tomb Raider have this subject locked up! While fighting your way through a flooded archives in your quest to find the Atlas might be fun, in reality a flood can be a tragedy for an archival repository. As an archivist, it’s the call you hope you never get. Our greatest fears are fires and floods and in recent years, Canada has had its fair share of both. The nature of the flow of water in the Elbow and Bow Rivers in Calgary makes them prone to spikes in water levels and often serious flooding. The history of Calgary’s floods goes back to 1883 when the only connection between the east and west of the city – a pedestrian bridge – was carried away by icy waters. Fast forward 130 years to June, 2013 and Calgary faced it’s most devastating flood, estimated to have cost $1.7 billion in insurable damages. Several months later, the Alberta government committed $6 million to help museums and archives affected by the flooding. The Archives Society of Alberta was called upon to distribute the funding to Archives through the Flood Advisory Programme. What has emerged from this disaster is a wealth of emergency response resources for Archives, including how-to videos, staff training scenarios, and an informative conservation blog. Earlier this summer, Canadians watched in horror as flames engulfed the town of Fort McMurray during the worst wildfires the province has ever seen. The damage is estimated to be over $3.5 billion, which makes it the most expensive disaster in Canadian history. When the fires hit, the Fort McMurray Heritage Society was about to open two heritage sites, the Heritage Village and the Heritage Shipyard. They are now appealing for funds to help re-establish the history of the community. In some cases, disaster can strike due to human error. The National Library of Wales faced a devastating fire in 2013 that caused £5 million worth of damage because of an accident involving workers using a blowtorch. Some of the most serious damage was done to the top floor where many manuscripts and rare books were housed, however, they were able to restore many archival documents that suffered a small degree of water damage. In 2015, the Scottish Council on Archives held an event called “Fire in the Archives.” The event included a presentation from the Scottish Fire & Rescue Service explaining the particular risks to archival material. Archival records are easily combustible, prone to rapid propagation of fire because they are in such close proximity to one another, and susceptible to irreparable damage from soot, smoke, or fire hose water. The event also featured two case study presentations. The first was by Iwan Bryn James, Conservation Unit Head for the National Library of Wales in Aberystwyth. He described what it was like to deal with the aftermath of the 2013 fire and his presentation offered a comprehensive overview of the damage and the conservation processes that followed. The third presentation explained the recovery actions taken by Archivist Susannah Waters and her team after a major fire at the Glasgow School of Art. The Mackintosh Library and its contents were almost completely destroyed by the fire. The photos included in Susannah’s presentation of the aftermath are difficult to look at and the salvage efforts are difficult to fathom. There are some excellent resources to guide you through the process of establishing a disaster/emergency plan. The Heritage Health Index, released in 2005 explained that, “it’s easy to put off emergency response planning as we devote our attentions to tasks with more immediate payback.” Following a string of significant environmental disasters in the United States, the Society of American Archivists recognized that few institutions have up-to-date disaster plans and established MayDay: Saving our Archives in an effort to encourage archival repositories to commit time to planning. 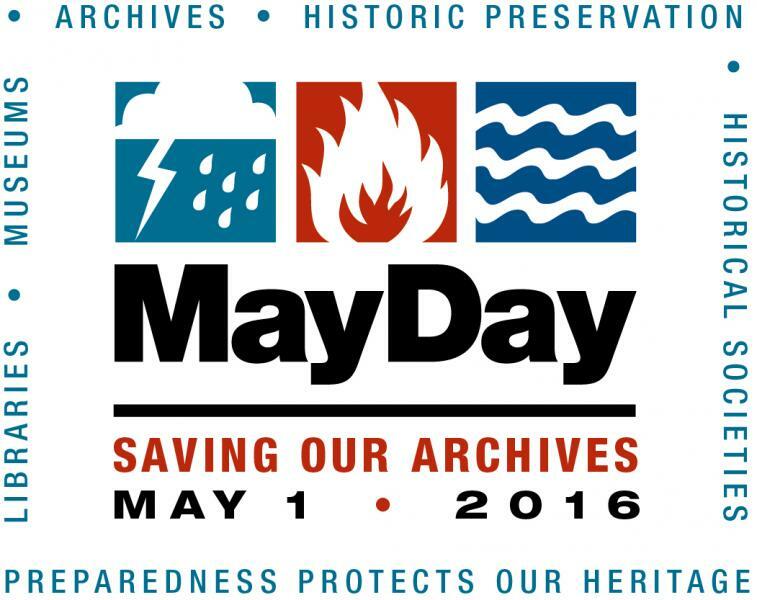 MayDay is a grassroots program that provides resources to help repositories plan for emergencies. The initiative offers Disaster Plan Templates that make it simple to develop a comprehensive plan and the SAA provides links to tutorials and training resources. Here is a list of potential activities that can be done in the spirit of MayDay. An especially useful online disaster-planning tool was prepared by the Northeast Document Conservation Center (NEDCC) for use by non-profit organizations like museums, archives, and historical societies. It walks you through the creation of a disaster plan using fill-in-the-blank templates that can be regularly updated. The Lead Team for the Alberta Flood Advisory Programme offer some helpful hints on their blog. They advise that preparing a disaster plan should be a collaborative effort with staff members with different backgrounds and experience. You should create a call list and map out the location of vital records and emergency items. They also stress the importance of staff training and working through mock-disaster scenarios. Finally, they advise that you develop a list of supplies for a disaster response kit. In its Basic Conservation of Archival Materials, the Canadian Council of Archives places disaster planning as the number three priority ahead of rehousing, reformatting, and treatment of collections. Chapter 5 – Disaster Planning and Recovery addresses different kinds of emergency situations (fires, mould and insects, etc.) and provides basic guidance. 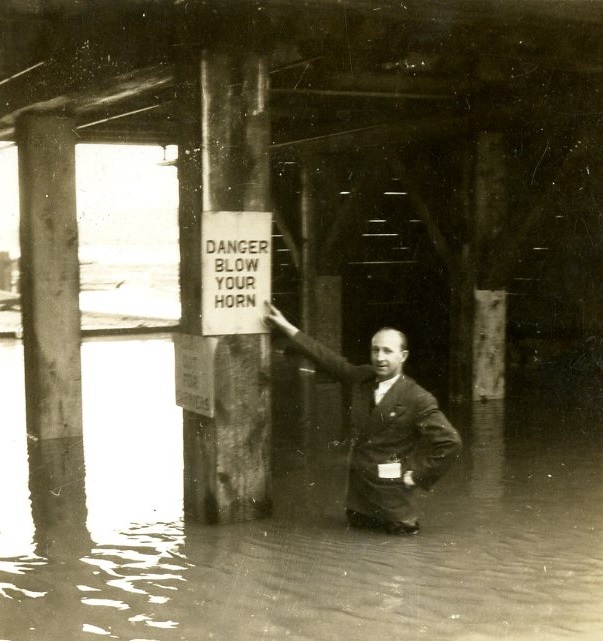 The Alberta Flood Advisory team wrote about how important it is to ensure that archival collections are insured. They explain in this blog post that often collections are not insured because it may be difficult to assign a monetary value to the collection or it may be difficult to find an insurance provider. They stress the importance of insurance in the event of loss or damage. Obviously, insurance cannot replace precious originals, but it can cover the costs of conservation treatment or rehousing. The Canadian Council on Archives offers some advice regarding salvage operations for water damaged collections. Written by Betty Walsh, the paper covers packing guidelines, recovery methods, rehabilitation, and post-disaster review. It also provides a very helpful “Salvage at a Glance” section that organizes the information according to type of material, priority level, handling precautions, and drying methods. Conservator, Ellen Carrlee’s blog provides an interesting day-by-day breakdown of a 2009 flood in the Alaska State Archives. She details exactly what happened during and after the disaster, discusses the particular challenges they faced, and offers some very helpful insights that may be useful to consider while creating a disaster plan. I may have missed the Society of American Archivists’ MayDay this year, but it’s in my calendar for next year and in the meantime, I am going to opt for planning instead of the crazy muppet panic scenario.